Customer commissioned me to construct a cabinet to hide an unsightly radiator (& to increase its efficiency by redirecting heat into the room instead of up the wall !) 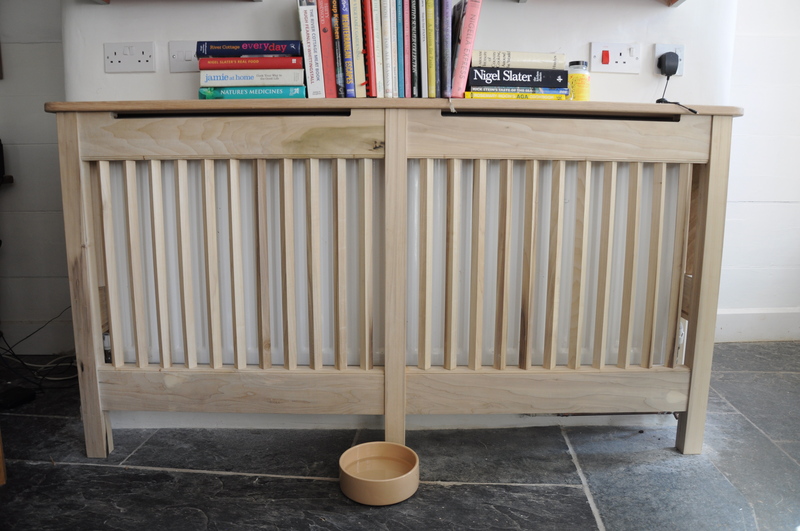 Constructed of tulip wood with English oak top using traditional joinery throughout. Left hand view showing attachment to lath & plaster wall.